← Facing Up, the Kindle eBook, is on sale now! Facing Up, the paperback, is here! 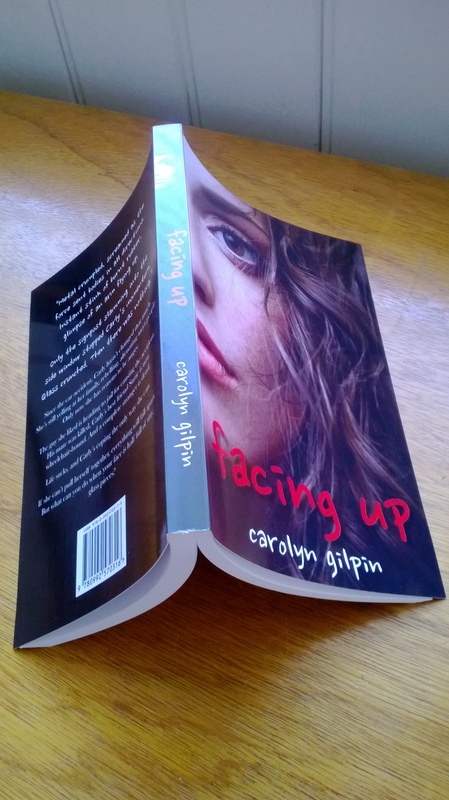 If you’re a little bit old-school, or just like the feel of turning pages or putting a new book into your well-stocked bookshelf, then copies of Facing Up are now available in paperback! LOL, she looks funny like this! While it’s not yet available in bookshops around the country (there’s a bit more legwork for me before that might happen! ), you can contact me via the ‘Contact Me’ (funny that!) page on this website. $19.95 AUD, plus $4.85 postage to anywhere in Australia. And remember if you like the book, or even if you don’t but you have some (constructive) comments to make, please tell your friends about it, stick a review on Amazon or Goodreads or Inside a Dog, or just hit ‘Follow’ and send me a comment on this website! This entry was posted in Self Publishing, Young Adult book and tagged Amazon, Digital printing, Formatting book, Goodreads, Paperback format, Self publishing. Bookmark the permalink.